"Gene Wilder... wilder than ever!" When two sets of identical twins are horribly jumbled, chaos and humor result. Swapped and mixed at birth twin reunite on the eve of the Revolution, their two sets of twins inadvertently swapped and no one knows the better. They change history as the revolution begins around them. The two must find a way to cool the tempers of the revolution or they may never be able to untangle the mess of their swapped lives. 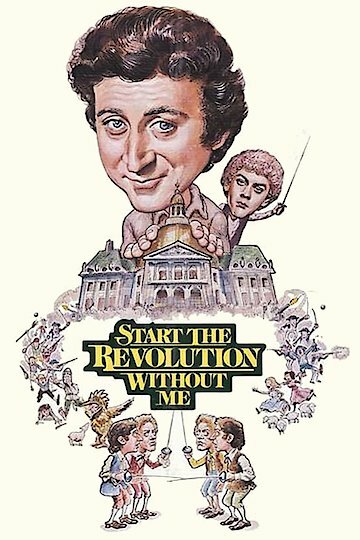 Start the Revolution Without Me is currently available to watch and stream, buy on demand at Amazon, Vudu, Google Play, FandangoNow, iTunes, YouTube VOD online.